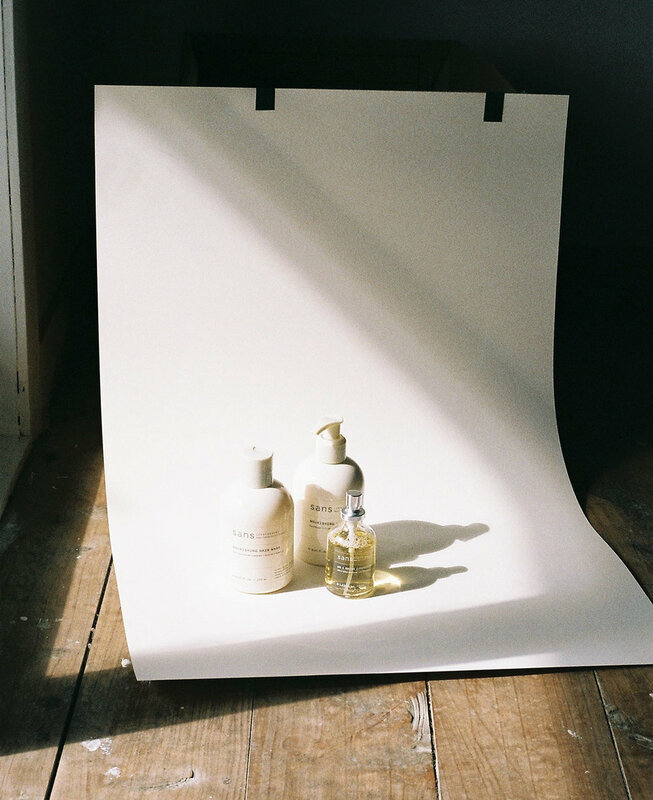 No-nonsense advice from the founder of the minimalist New Zealand beauty brand. At Koskela, we are committed to finding the very best lifestyle brands and have a big soft spot for natural beauty. There is a thriving industry of local makers who offer divine products that we are proud to stock in store. 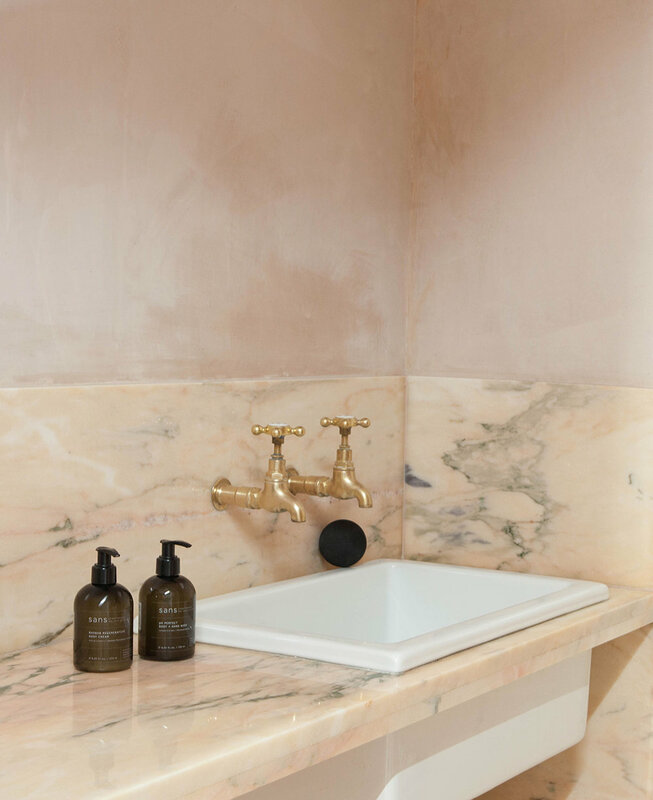 These small businesses are not just churning out scented soap bars, they are focusing on incredibly effective skincare solutions using natural and often locally sourced ingredients. One shining example is Sans [ceuticals], a New Zealand company that creates pure, results-driven and multifunctional skin and hair care solutions. Sans [ceuticals] has a seasonal focus and strategy. The needs of skin and hair change with the seasons and they suggest a prescriptive approach and tailored ritual. Now we are halfway through January, UV exposure, sunscreen, salt water, chlorine, late nights and excess are probably having a noticeable effect. We asked Sans [ceuticals] founder Lucy Vincent for her best summer skincare advice. First up, what is the philosophy of Sans [ceuticals]? We have developed a collection of specialist skin and hair care products that are pure, results driven & multifunctional. Sustainable and ethically minded, my scientist and I developed products that are multifunctional reducing consumption, noise and clutter. This also simplifies skin care regimes. I was chatting to a dermatologist the other day who said he sees a lot of skin sensitivity from overly-complicated skincare routines. I think there is an idea that more is better when it comes to anti-ageing, however using one product – not five – that contains scientifically sound ingredients, such as vitamin A, C or B, can be more effective. With our multifunctional approach, you use less products more frequently, meaning they stay fresh and retain their integrity. Formulations naturally deteriorate over time, and as they do they can become less potent and can cause inflammation and aggravate the skin. How can summer conditions affect your skin and hair? At Sans [ceuticals] we have a seasonal focus and strategy. Shifts in environment and climate can have a dramatic effect on skin and hair. Summer means UV exposure, salt water, chlorine, late nights and excess. For hair, this calls for extra fortification via proteins, nourishing plant lipids and vitamins. For skin, summer means repairing and keeping skin cells healthy post-UV exposure and optimising lipid and moisture content. What treatments would you recommend? Cleansing during the summer months should be gentle and nourishing to make sure that the barrier function of the skin is supported and natural sebum is not stripped. 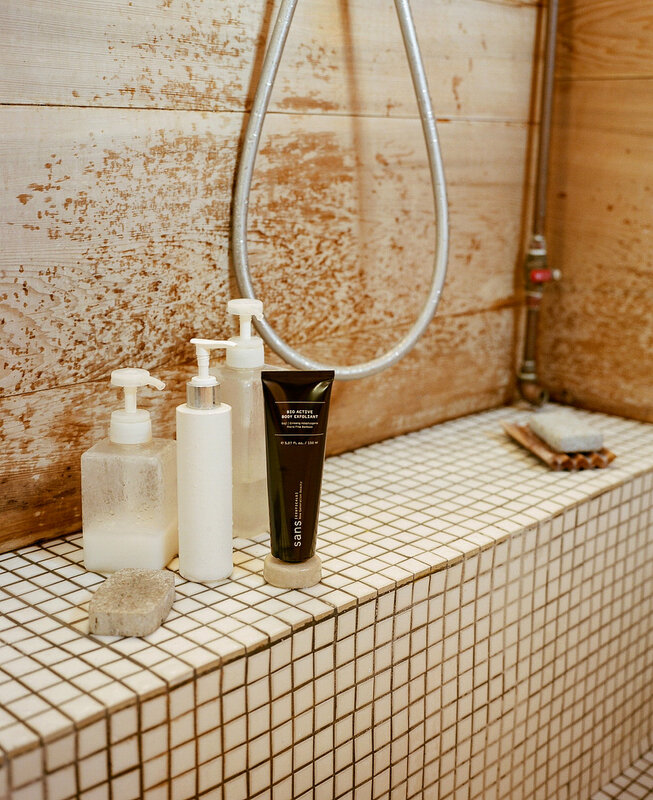 For sensitive, dryer skins, we recommend Sans [ceuticals] Goji Body + Face Cleansing Oil. Apply to dry or damp skin, gently massaging with palms or shower mitt. Sans [ceuticals] Goji Cleansing Oil turns milky on contact with water and effectively removes sweat and dirt. While skin is still wet, apply a layer of Sans [ceuticals] Activator 7 Body + Hair + Face Oil. This creates a hydrolipidic film, trapping in moisture for double-duty nourishment to leave skin soft, smooth and glowing. High concentrations of vitamin A work on repairing UV damage, boosting collagen and elastin production to help retain moisture. Gently pat dry with a towel. Apply a cherry-sized dollop of Sans [ceuticals] Hair Wash to wet hair, massage then rinse. Your hair may require more nourishment during summer. Apply Sans [ceuticals] Hair Hydratant over the top of Sans [ceuticals] Moisture + Protein Infusion 20, again working through mid-lengths and ends to increase penetration. All Hydratants contain high concentrations of proteins and lipids to feed, nourish and repair. For more intense hydration leave in for longer, then rinse. Finally, do you have a favourite Sans [ceuticals] product? The Activator 7 Body + Hair + Face Oil is my forever favourite. It cuts down on clutter and waste and because it really works! I have kids and therefore live by the rule of quick, simple but effective. Our cult product Activator 7 Oil does everything! It’s a body oil that packs a punch with high concentrations of Vitamin A. I keep it in my shower and apply daily while my skin is still wet. I shave my legs with it. I press a few drops into my face as a night time serum, use it on the ends of my hair to smooth and nourish... I also use it to remove my eye make-up (when I remember).